Enjoy time just driving around? Need to get home by a certain time? 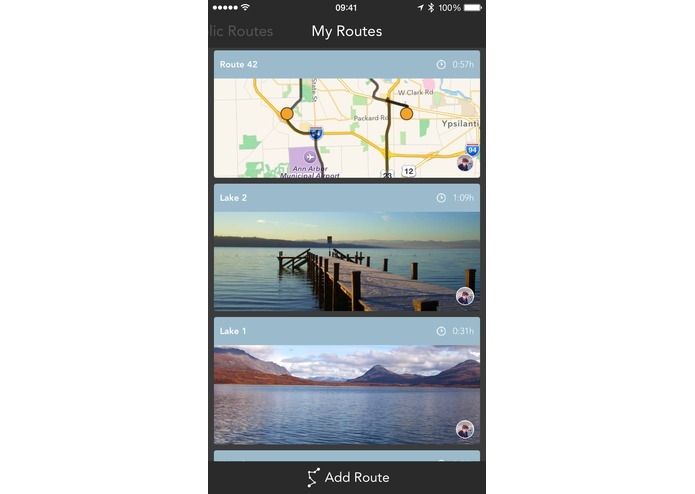 Set time limits and view routes with Joyride! Sometimes I have a few hours to go on a joyride, but most of the time I never know where to go! I would start driving and I would have to pull over to estimate how far I can drive before I need to be back home. My friends, however, always know where to drive and how long it will take them to travel each route. This is the inspiration for joyride. Joyride allows you to do 2 things. First, you can create your own custom route by dragging pins on the map. You can view the travel time for the route as well. If you do not want to make your own, Joyride will calculate a route that is less than 1 hour long for you. 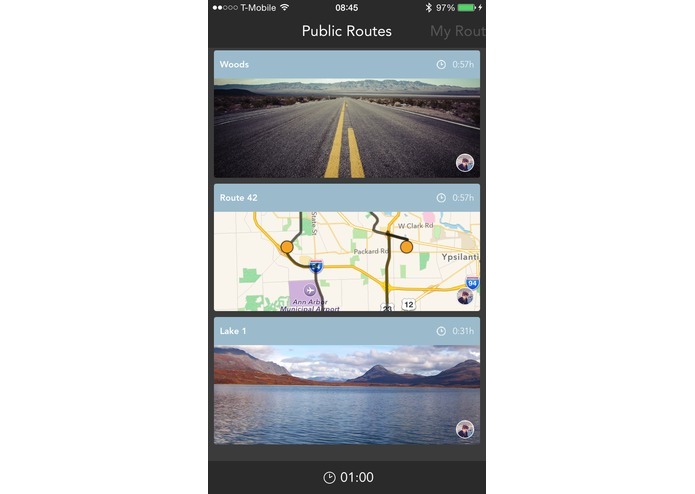 You can also view and use routes that people have posted. We built Joyride using Xcode, the iOS SDK, and Apple's CloudKit service. We are proud of learning CloudKit specifically for MHacks. We were able to implement it, as well as design our own data schema in the allotted time. We learned a lot about CloudKit and MapKit. We learned that it is very difficult to work with CloudKit on two development machines, and that MapKit doesn't offer a way to create directions with waypoints. Next, we plan on implementing turn by turn directions and profile images for users. There are still some bugs we need to squash as well.